First of all, I would like to thank Alexandra from Silvesterkind, a fellow german Travel Blogger, who has invited me and ten other Bloggers to answer her eleven questions for the Liebster Award. A few days later I received another invitation from a fellow Travel Blogger to answer her ten questions for the Liebster Award which I will of course do in a seperate post. Liebster is originally a german word and means favourite. The Liebster Award is mainly designed to introduce other Blogs, so I happily answer Alexandra’s questions, before passing mine to eleven other Travel Bloggers. 1. Which country has touched you the most? Without question, China! 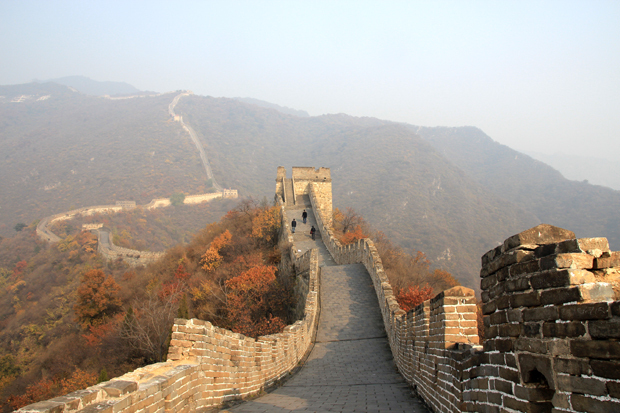 I had planned to travel across the Middle Kingdom already in May 2010, but due to some unfortunate reasons I had to cancel my trip two months before leaving. 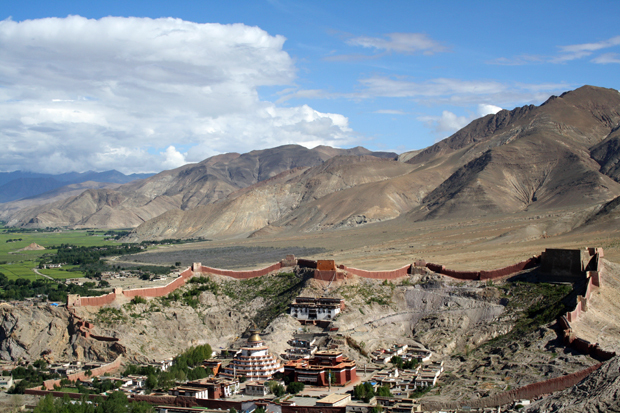 A few months later I travelled through Yunnan (a Province in the Southwest of China) instead and continued onto Lhasa across Tibet to Kathmandu, the capital of Nepal. After that trip I was deeply impressed by the fascinating monasteries, the deep religiosity of the people and the stunning scenery, but after Yunnan I also wanted to see the more eastern Provinces of China. However, it took more than two and a half years till I realised my plans and returned in April 2013. After travelling all across China I was so much fascinated by the beautiful landscape, the amazing sights and the incredible friendliness of the locals that I returned less than six months later. Plus I had my two by far best (local) guides ever on those three trips through Tibet and China – and I had numerous (local guides) so far. 2. Where can the most beautiful sunset be found? Wow, this is hard to answer as I have seen many beautiful sunsets in my life already, at home and abroad. 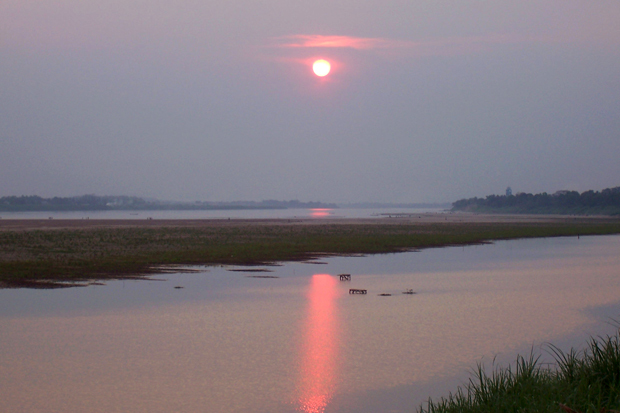 Impromptu four come into my mind which I list in chronological order: an amazing sunset at the Mekong river in Luang Prabang, Laos in February 2005, another one in Vientiane, the capital of Laos, at the Mekong river during low tide, in April 2009. 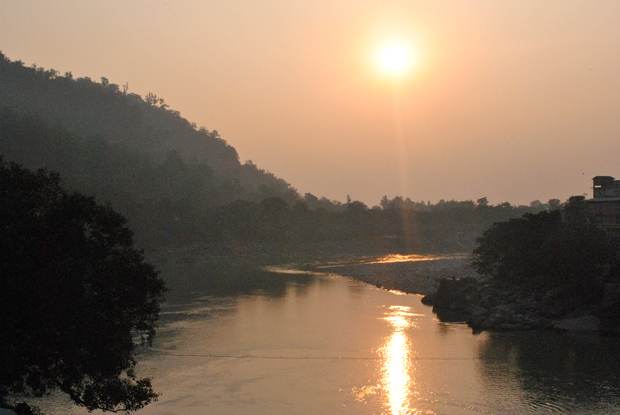 Furthermore I have watched a beautiful sunset at river Ganges at the foot of the Himalayas in Rishikesh, Uttarakhand in Northern India in November 2011. 3. Where have you celebrated your wildest party? In San José, Costa Rica. I have lived there for two months in March and April 2003 and have done volunteer work plus taken Spanish classes. Every Thursday evening there was Ladies night in “El Pueblo”, a bar area in San José. 4. 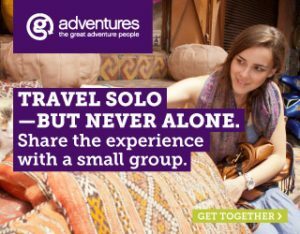 Do you prefer travelling alone or with someone else? I have started travelling on my own, without my family, friends nor anyone I knew at the very young age of 15. I have done a three-week language study travel to Brighton, a town at the South coast of Great Britain at that time and returned there for another stay of three weeks only nine months later. At the age of 17 I did a homestay for six weeks in Spokane in the State of Washington, in the Northwest of the United States. From there I flew to Seattle and spent two days in this vibrant city just by myself. It was great! Ever since then I travelled a lot on my own. I have a boyfriend for almost twelve years now and I love travelling with him, but it is not a big problem for me to travel alone, when he doesn’t want to see a country or regions of it as much as I do. I think, it’s a real shame when people don’t do things they would really love to, or do things just because of their partner. I also encourage my partner to see or do what he really likes to. So sometimes we do something separately and then we do something together again. 5. Tell me a taxi story! It was on my first evening in Beijing. I was exhausted, but decided to take a taxi to the Wangfujing Road even though, to have dinner and get a first impression. After getting some food and strolling over the Dongangmen Snack Market, I wanted to head back to my hotel, so I jumped into the first taxi. The taxi driver wanted to charge me an impertinently high price – he wanted me to pay three times as much as I paid for the taxi ride to Wangfujing Road – and ignored all my attempts to bargain. I wanted to try my luck with several of his colleagues, but when the police showed off, they all disappeared within a minute. Since the metro didn’t run at that time of the night anymore, I entered the nearby elegant Beijing Hotel and asked at the reception to call me a taxi. I was told that taxis are hard to get at that time and that I would have to wait for a while. After more than one and a half hours I ended up tramping back to my hotel with two chinese males who didn’t speak a word of English. It was a scary experience on my first evening in Beijing and something, I will always remember. 6. Tell me a bar story! It happened every Thursday evening during the Ladies Night in the bar area “El Pueblo” in San José, Costa Rica in March and April 2003. In all bars and discos in that area, Females had free entrance and free drinks until 10 PM. In almost every place they had male Strippers for entertainment. Other guys were not allowed to enter before 10 PM. After a few drinks the costarican girls started to screech and to cheer the male Strippers. It was a huge spectacle! At 10 PM all others Males were let in. 7. Tell me an animal story! 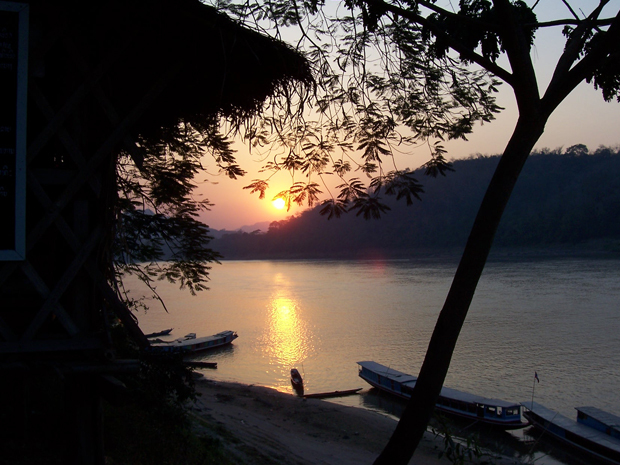 In January 2011 I stayed at the Kinabatangan river in Sabah, Malaysian Borneo for two days. The owner of the Kinabatangan Jungle Camp where I have stayed, organises afternoon, night and early morning cruises on small boats for his clients. We saw herds of pygmy elephants at the banks of the river on both afternoon cruises, but on our second afternoon cruise we also discovered a baby pygmy elephant. He suddenly forged ahead through the herd and lifted his trunk as if he wanted to say “hello” to us. 8. In which situation have you been scared? It was in April 2013. I was standing at Dubai International Airport, waiting for my flight to Beijing. 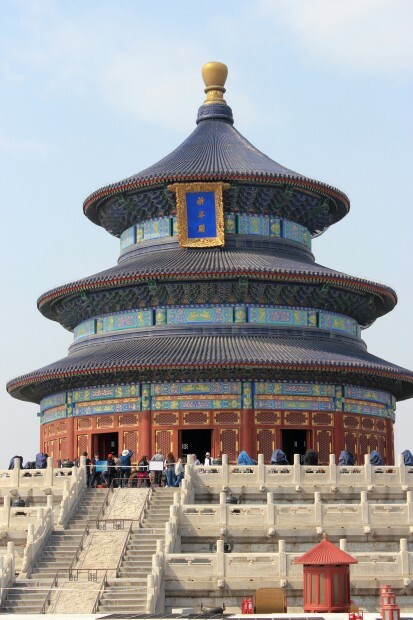 When planning my trip to China I have decided to spend three days in Beijing on my own before meeting an international group of still unknown people and a chinese guide with whom I planned to travel all across China. While making all my bookings I ignored the fact that English is not widely spoken in China, even not in the capital Beijing, something I knew for long. I was a bit nervous about it beforehand, but when waiting for my flight to Beijing I was anxious since I hadn’t organised anything except of a hotel room for those three days beforehand. What if I get lost in an area where no one speaks a word of English? At the Gate next door people were just boarding a plane to Bangkok, a place where I had been many times before and I started to ask myself: WHY DID I PLAN THREE DAYS IN BEIJING ON MY OWN? I was tempted to change Gates instead and hop on the flight to Bangkok as a blind passenger. Needless to say that I have resisted and boarded my flight to Beijing instead. It turned out to be one of the best decisions of my entire life and I am very glad I got past my fear. 9. What is “typical german”? I am not a fan of stereotypes! When in Asia I often hear: “Oh, you are from Germany!” “Sauerkraut and Kassler”, “Schnitzel”, “Bavaria Munich” and “Lukas Podolski”. When it comes to that, I am very untypical german. People are suprised when they get to know that I neither like Sauerkraut and Kassler nor Schnitzel and that I am not a fan of Bavaria Munich or Lukas Podolski. 10. Give an Insider tip for your hometown! When in Cologne and looking for a good place for something to eat or a few drinks, go to the Bars and Restaurants at “Zülpicher Straße”, in Cologne, the area is also called “Kwartier Latäng”. It’s the student area close to the University of Cologne. I am not a student anymore and have studied at the University in Mainz instead of Cologne, but I have always liked that area. Food and drinks are good and cheap and you get an insight into the local life of the young people of Cologne. When coming home from abroad I am often asked to tell people about my trip. After a while I found out how hard it is to compress a multi-week trip into a 15-minute story. I also realised that memories fade when you don’t write them down, especially when you travel frequently. As a journalist who works for a regional daily newspaper, I love writing. Photography is another passion of mine. So I have decided to start this Blog in October 2012, initially on WordPress.com. Then I have moved it to a self-hosted website in January 2014. Originally I have started my Blog to tell my family and friends at home about my travels, but then I found out that this might also be interesting for other people. I am happy about every Reader and Follower. And I love comments, also from people, who are non of my friends (yet) or part of my family. In which situation have you been scared? Tell me a plane story!